The end of a year is a natural pause point to assess progress, accomplishments, failures, lessons learned and goal status for the year past. It also provides an opportunity to set objectives for the coming year. As I began my review for 2014 I contemplated on the meaning and value of reflection; after all it is a consistent theme of all spiritual and religious practices throughout the ages. Why do we reflect? What does it do for us? How do we do it and how much value does it really offer? The term "reflection" is derived from the Latin term reflectere, which means, "to bend back." If we consider a mirror this is precisely what it does � it bends back the light. It makes visible what is apparent to others, but a mystery to us - namely, what our faces look like. Reflection is an action that can be scheduled at specific times or can be undertaken on an ad hoc, spontaneous, situational basis. The practice allows us to pause, breathe and consider our situation. Reflection is a learned skill that requires a high level of consciousness, it enables us to understand our thoughts, observe our experiences and consider the impact that our behaviours have on others. 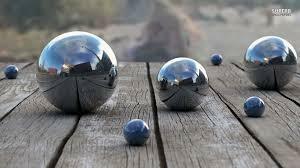 The art of reflection features prominently in my Cultural Coaching and Cultural Intelligence sessions whereby I regularly remind participants and Coachees of the importance of frequently 'checking in' with ourselves. Essentially, self and situational reflection is especially important when we are interacting with people of different cultures. It helps to facilitate our level of understanding and awareness in terms of attitudes, beliefs and value systems of both others and ourselves; it helps to guide our behaviours enabling relationships built around trust and mutual respect. Reflection is a critical component of cultural intelligence. I read somewhere recently: "We do not learn from experience�we learn from reflecting on experience." The value of reflection is just that � to derive meaning from our experiences. It is a bridge between our experiences and learning. It allows us to apply past knowledge to new situations; it inspires provocative thought and action and promotes continuous learning. What new cross-cultural relationships have I formed this year? Which existing cross-cultural relationships have I deepened this year? What actions have I taken to enhance these relationships? Were there any cross-cultural interactions that didn�t go well? Why did this occur and what could I do differently next time? What resources, experiences and conversations do I need to have to further my CQ development and growth? We want to thank you for your continued support of our work. We have had a successful year with new projects and assignments and look forward to building on them for next year. Wishing all of you a joyful, peaceful and successful 2015. The Naked CEO is a recent publication. Malley is the CEO of CPA Australia. He has had a diverse background, having worked in banking, academia and media prior to his current industry. His writing is engaging, informative and interspersed with some great personal stories. Malley begins with his own story, his humble beginnings where he worked his way from being the suspended schoolboy, through to an adult who was always keen for a new challenge or adventure and eager to regard his failures as important components of his journey. The book is pitched at a wide readership � from school and university students, to leaders in various stages of their leadership roles. It offers an insightful account of the learning curve that Malley has followed and his leadership principles. Malley claims that ��mobilising people is about developing your own style, learning about the peoples you lead, being authentic and creating a positive belief in the journey ahead.� I subscribe to the claims that leading requires empathy, strength, multiple experiences, an ability to listen to your instinct, courage, vision and effective communication skills. All of which are discussed in detail.
" 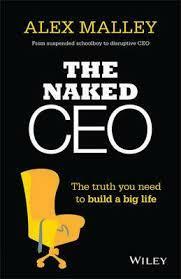 The Naked CEO: The truth you need to build a big life." By Alex Malley (2014).